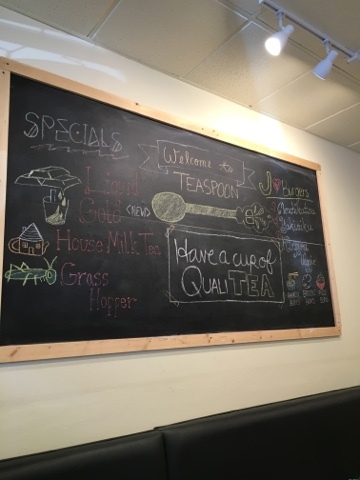 There is a new place to get boba in downtown Mountain View- Teaspoon. 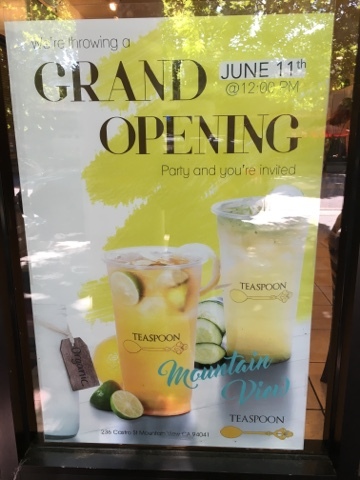 They have a location in Los Altos and will have a grand opening at the Mountain View location on June 11th. They currently have a pop-up Teaspoon before their grand opening on Saturday. 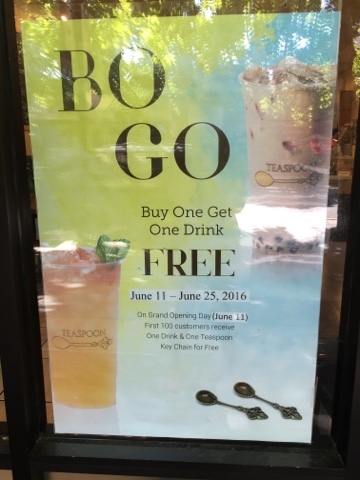 They are located on 236 Castro St. You can get one drink free when you buy one from June 11th until June 25th.